An Australian Catholic priest Fr Greg Reynolds (60) has been excommunicated by Pope Francis because of his views on women priests. It is understood to be the first excommunication of any kind to take place under this Pope since he assumed office last March. Ordaining, supporting, or becoming a female priest has been explicitly grounds for automatic excommunication since at least 2008, following a declaration by Pope Benedict. Pope Francis has repeatedly stated that his beliefs on the subject are aligned with that declaration. He did not address the issue in his interview last week with Jesuit publications. In November 2010 Australian media reported that Fr Reynolds had devoted his homily at three parishes over a weekend the previous September to proclaiming it was God’s will to include women in the priesthood and said denying women the right equalled “obstructing the work of the Holy Spirit.”. 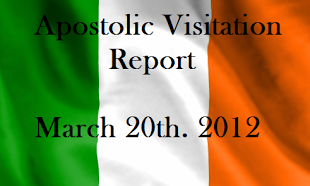 In August 2011 Fr Reynolds resigned his position as pastor of two rural parishes and Archbishop Hart subsequently removed his priestly faculties. Fr Reynolds went on to found Inclusive Catholics as a way “to minister to and with Catholic people who share” his beliefs on women’s ordination and homosexuality, according to the Inclusive Catholics website. He also continued to say Masses and celebrate the Eucharist. In August 2012 he he was involved in controversy when it was reported in Australian media that a dog had received Communion at a recent service. Fr Reynolds said at the time he was not aware of the incident with the dog during the liturgy and only learned of it later. The following month, September 2012, Archbishop Hart said he would initiate canon law proceedings against Reynolds for his dismissal from the clerical state. However the Archdoicese has since said this did not happen but that unknown people had contacted the Vatican’s Congregation for the Doctrine of the Faith (CDF), which then requested Fr Reynolds’ file from Archbishop Hart. It also referred to his speaking publicly against church teaching. 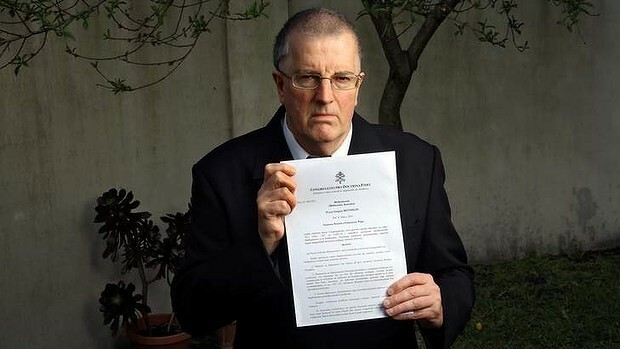 It read “Pope Francis, Supreme Pontiff having heard the presentation of this Congregation concerning the grave reason for action ... of [Fr Greg Reynolds] of the Archdiocese of Melbourne, all the preceding actions to be taken having been followed, with a final and unappealable decision and subject to no recourse, has decreed dismissal from the clerical state is to be imposed on said priest for the good of the Church,” and was signed by Archbishop Gerhard Muller, prefect for the CDF. In an impromptu press conference on July 28th last, aboard the papal plane on his return to Rome from World Youth Day in Brazil, Pope Francis said, “on the ordination of women, the Church has spoken and said no.